Living in the United States, most people have likely met someone with heart disease (also known as cardiovascular disease). In fact, the issue is so prevalent, that according to the Center for Disease Control (CDC), one out of every four deaths in our country are due to heart disease. Being aware that it’s so common is only the first step to proactively preventing it or at least reducing your chances of getting it. It’s important to know that heart disease is not just one illness. It’s actually an umbrella term for a wide range of conditions of the cardiovascular system (heart and blood vessels). 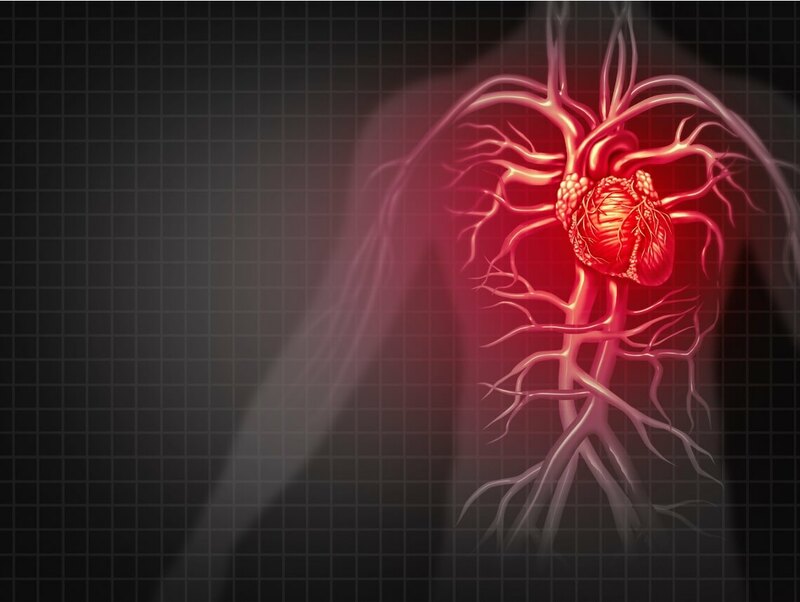 Heart disease often occurs when there’s a blockage in veins or arteries. Or it can be due to plaque or fatty deposits that obstruct blood flow to the heart. It can also be a result of the heart valves not opening or closing completely during heartbeats. Both of these conditions cause the heart to work harder than it should. The additional stress and restricted blood flow can be fatal. Another factor that’s not discussed as often but is equally important is that depression can have an effect on the heart. The American Journal of Cardiology published a study indicating clinical depression increases the likelihood of suffering from coronary heart disease. Having high cholesterol or high blood pressure also increases the probability of the diagnosis of a heart condition. Since high cholesterol has no symptoms, if any of the above risk factors apply to you, we recommend that you seek medical advice. Keeping your loved one’s heart healthy isn’t as difficult as it sounds, but you need to stay alert for symptoms and test results that are not normal. If heart disease runs in your family, you probably already know how important it is to keep your loved one’s heart healthy. The truth is that heart problems can affect anyone, even if no one else in the family has had trouble with their heart before. Quit smoking. Smoking not only affects your respiratory system, but it also causes fatty buildups in the arteries. In addition to increasing the risk of respiratory disorders, chronic illness, and cancer, the time to stop is now. Regular exercise. Maintaining a healthy body weight is essential to control heart disease. It’s also a great way to lower your blood pressure and control diabetes, so taking care of this factor alone is one of the most beneficial for your health. In fact, regular exercise can actually reverse risk factors. If your loved one stays active, particularly with cardiovascular activities, they can help keep their heart much healthier. Check with your loved one’s doctor to determine the level and the duration of activity for which your loved one should shoot. Remember also that your loved one’s home care providers can help your loved one to meet his fitness goals, so make sure you keep them in the loop. Control diabetes. This one is crucial, considering that 7 out of 10 people with diabetes over the age of 65 will die of some type of heart disease. Eat a healthy diet. Eat fresh whole foods, reduce consumption of sodium, fat, and added sugars. Seek professional help. People who are clinically depressed have a higher likelihood of developing a heart condition. People who didn’t have mental health issues prior to their heart diagnosis are more likely to become clinically depressed. Manage stress. Fear and stress have very real physical consequences in the body. This includes artery inflammation, which blocks proper blood flow to your heart. Check your cholesterol and blood pressure regularly. This is especially important if you have a family history of these issues. High cholesterol increases the risk of heart attack. Talk to your loved one’s doctor to determine if additional tests will help provide more information that will help keep your loved one’s heart healthy. One type of test that might help is an EKG, or an electrocardiogram. An EKG helps your loved one’s doctor to look at his heart rhythms and spot problems before they become serious. Annual physical exams. Regular physicals are important so that your loved one’s doctor can keep up with all of the different tests your loved one needs. Skipping a physical once or twice isn’t necessarily a problem, but doctors can spot symptoms during an exam that can lead to a faster diagnosis. If you or a loved one is suffering from heart disease, we can help you. At Sonas Home Health Care, we have an entire team of experienced caregivers.